Who’s to blame here? Surfing has taken over mountain towns for years, even those located far from the nearest ocean. How is that so? 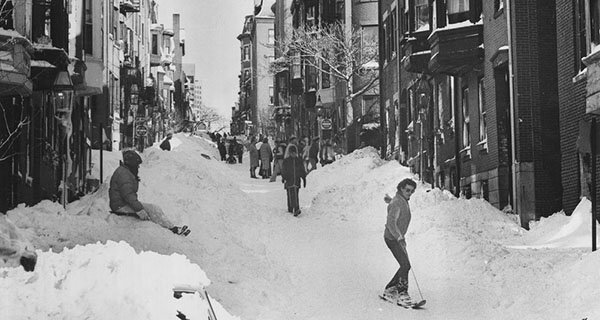 Well back before snowboarding as you know it today, there were guys (most likely surfers) who thought “hey I bet I can slide on snow too.” And with that surfing on snow and the sport of powder surfing was born. 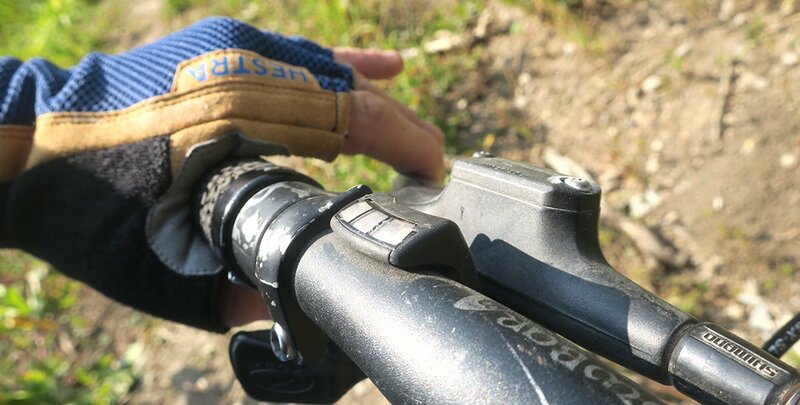 For all the modern-day shred reading this, do you like riding with high backs? Well, it’s all due to one man, you can thank Jeff Grell who is also a snowsurfer and founder of Snowsurfing International. Grell not only invented the highback but he also started the first snowboard school in Aspen, Colorado. To top it all off Jeff knows a little bit about surfing in the ocean too from his role as executive director of the Professional Surfing Tour of America. 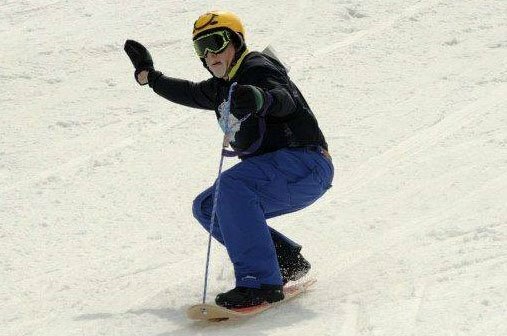 Back when Jeff started sliding around without bindings they would simply call it “boarding”. 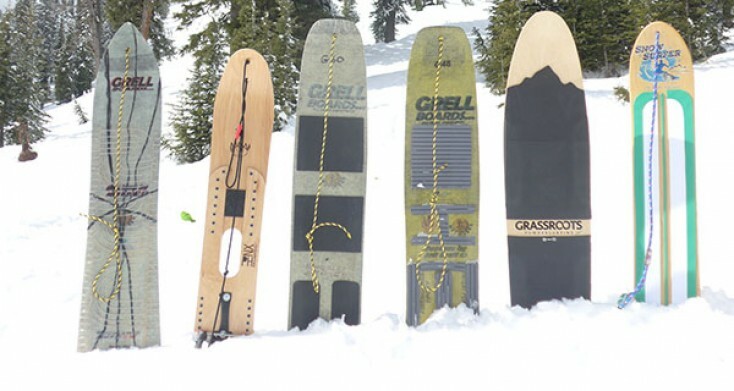 Now you might get confused with some of the lingo mentioned in the article, are these snow surfers, powdersurfers, or noboards? Personally, my feeling is there’s really no need to separate our tribe any farther then it already is. “Powdersurfing, the perfect blend of skateboarding, surfing and snowboarding. 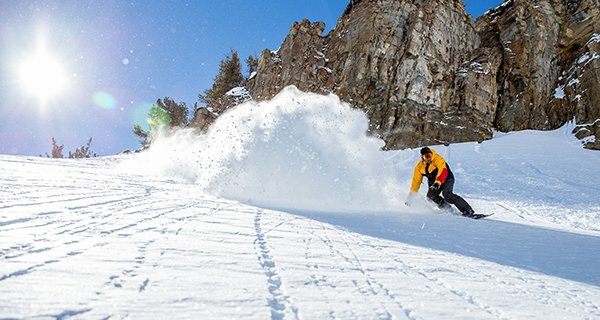 No bindings, no handles or ropes, just pure powsurfing fun.” – powsurf.com The video looks insane, true surfing while on snow with some skateboarding tricks to boot. Regardless of what you call it noboarding, powdersurfing or snow surfing … if you dig the feeling of sliding on snow you will dig riding sans bindings..
And another cool company making boards is PHNX Boards, founded by Steve Geiger, in Massachusetts. According to Steve, “The PHNX Board is really for “snurfing” rather than powder surfing or pow surfing. 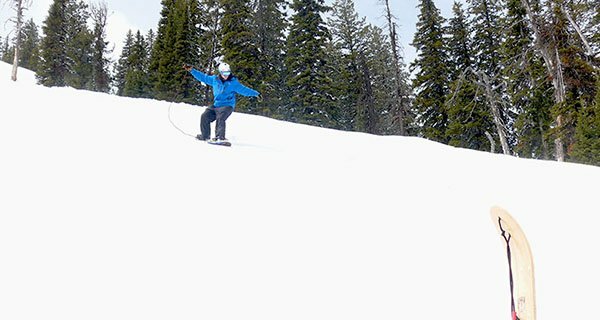 Snurfing is generally done with a shorter, narrower board for smaller hills with a few to several inches of snow. While we are developing a longer, wider board for deeper powder surfing, our market is back yards and back hills more than mountains, where there is a ton of untracked snow waiting to be claimed. Although there is a binding of sorts, we still consider this to be in the snow surf category because it isn’t a fixed binding. Check out the photo of Kinger laying into a turn on the PHNX board below. What’s interesting to note is the fact that most of the companies and people listed in this article started out on the east coast. 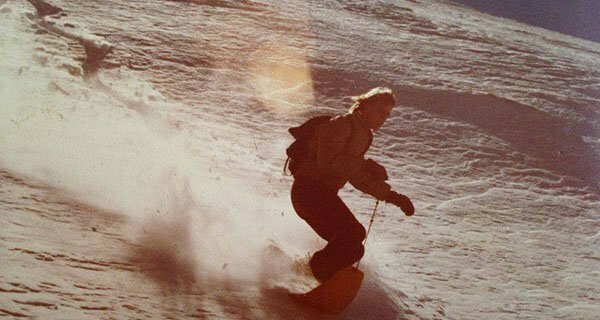 When the waves are flat and your local hills are the same, people tend to adapt especially these pioneers that helped shape the sport of snowboarding. 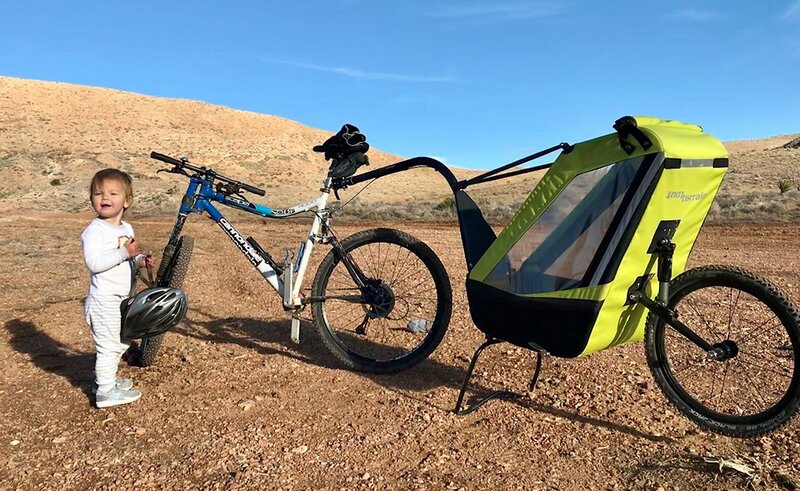 If these don’t look like fun, you’re clearly reading the wrong website, get stoked winter is near! At the end of the day, you’re guaranteed without fail to have a heck of a time enjoying whatever you decide to call the art of sliding around on snow without bindings. 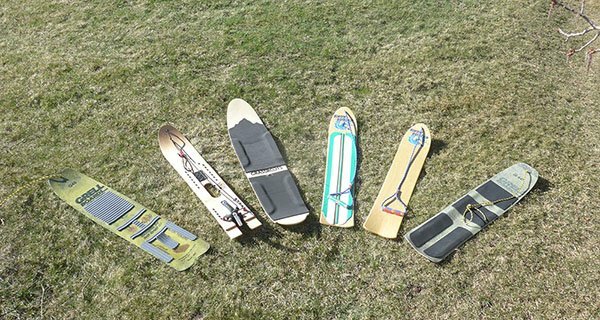 Looking for some boards to go surfing on snow? 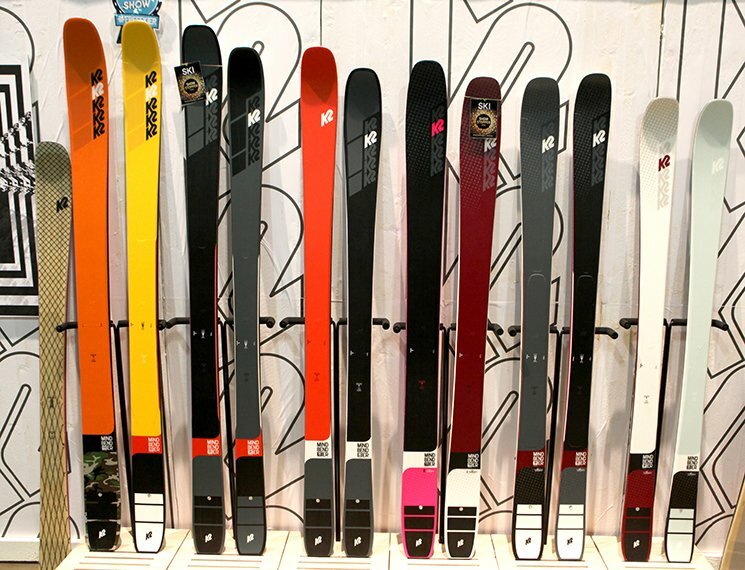 Take a look at some of our favorite pow surfing boards. The First Snowboard styles, fads and tricks come and go, however, the pure fun of riding powder will always remain the same. We found this video footage dating back 40+ years of some of the earliest recorded snowboarders Buck and Hawkeye absolutely shredding fresh pow.